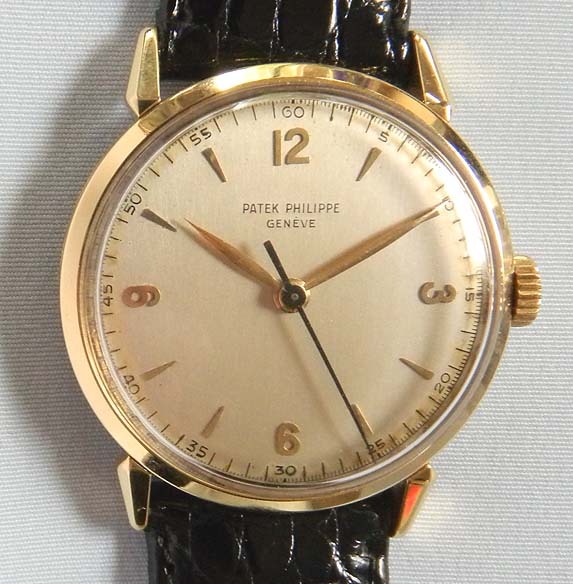 Fine and handsome 18K gold Patek Philippe 35 mm reference 1578 vintage wrist watch circa 1950. 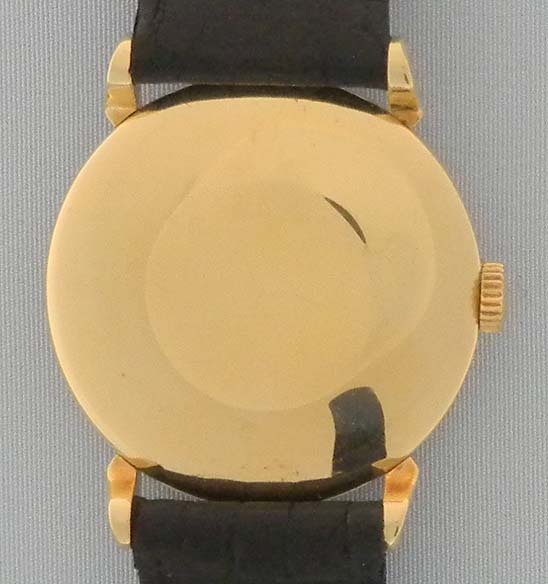 Original silver dial with fired hard enamel black markings and applied gold markers. 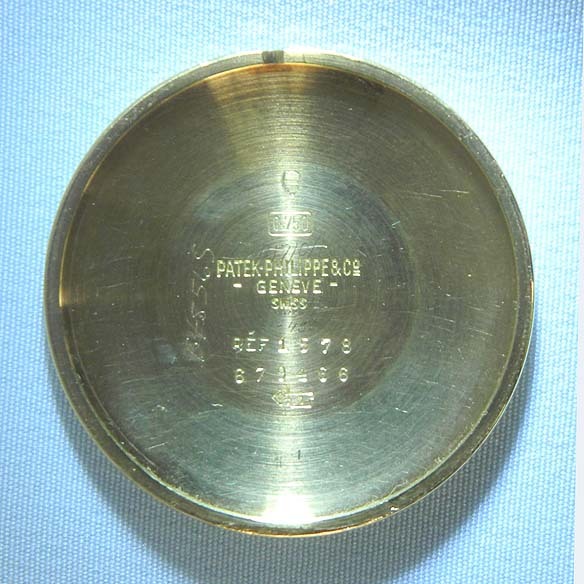 The case with handsome downward sloping teardrop lugs. 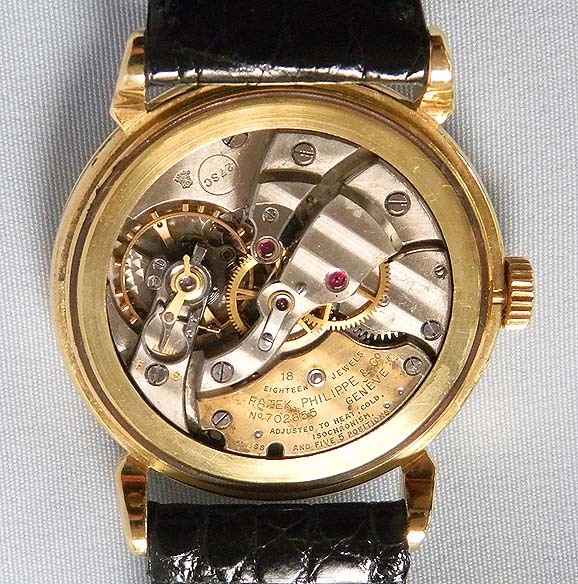 Rhodium 18 jewel 8 adjustment movement with discoloration to the mainspring bridge.